Electropop singer-songwriter Tove Lo has been having quite the year, from kicking off her Lady Wood tour on February 16 in support of her new LP to signing on to some of the best summer festivals like Coachella and Bonnaroo. The fun doesn’t stop there—the Grammy-nominated artist just announced that she’ll be joining Coldplay on their North American tour this fall! The first show will be held on August 1 in New York, and the musicians will also make stops in major cities like Portland and San Francisco. 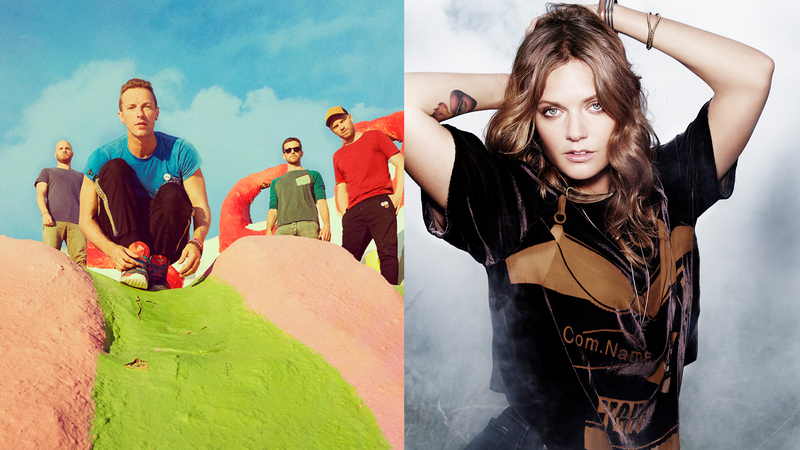 Tove Lo is set to perform on six of these concerts, starting September 23 and going until October 8. We hope you are excited as she is in her Instagram announcement! This isn’t the Sweden native’s first time working with the pop rock group—she was featured on the band’s track “Fun” back in 2015. The singer has also collaborated with some other big musical names, singing alongside Nick Jonas in his track “Close” and Alesso’s “Heroes”. If you weren’t able to score tickets to her now sold-out trek through North America, don’t worry! You can head to Coldplay’s website for more information on this upcoming tour. Start Tracking the “Vibes” singer on Bandsintown so you’re the first to know when she is in your city next!